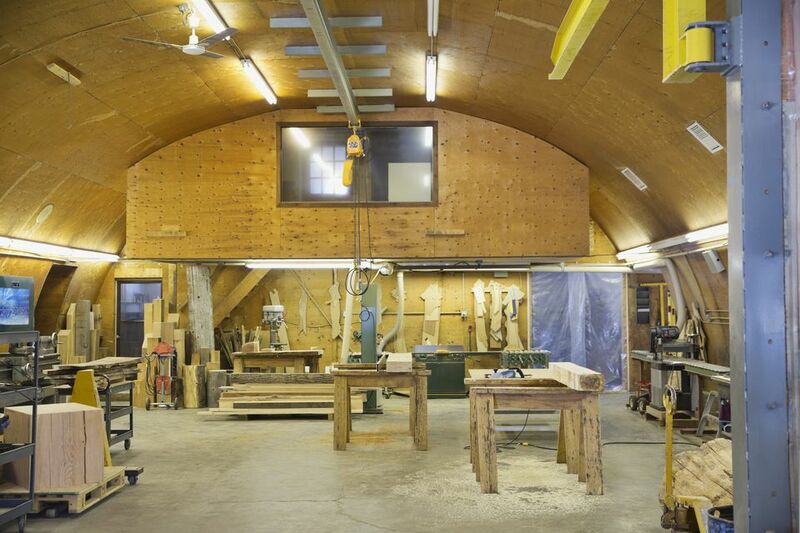 If you have a well-established wood shop, chances are that you have some pretty bulky, heavy woodworking tools, such as a table saw, drill press, band saw, planer, jointer, etc. When deciding to move your wood shop, moving these tools should be your foremost concern. Not only are they heavy, but in most cases, critical parts are made from brittle cast iron that, if not protected properly, can break rather easily when being transported on a truck. Most self-moving options, such as rental trucks, aren't conducive to moving heavy woodworking tools because one must maneuver these cumbersome tools up a ramp or have a lot of hands to lift them, which can be quite dangerous. Professional movers are an expensive option who often will charge extra for moving such cumbersome items. If you have large, extremely heavy cast-iron tools, consider contacting "riggers" in your area, who specialize in moving extremely heavy objects. While their services don't come cheaply, they often can arrange to pick up the items, prepare them for transport (either with a trucking company or with your movers), and then arrange to have them delivered and installed. Make sure that your riggers are bonded and insured, and you'll have the peace of mind of knowing that your biggest concerns in the move are being handled. If you're bound and determined to "self-move" your wood shop, you may want to consider using one of the companies that provide small, personal moving containers. They will deliver the containers to your location, allow you to load them, and then pick them up and deliver them to your new location. Keep in mind that there are weight limits each container can hold, so plan accordingly. No matter which method you choose for moving your shop, you may want to consider mobile bases for your heaviest of tools. While you can purchase mobile bases for most popular woodworking machines, if your only need for the mobile base is for moving, you might consider building a mobile base instead of purchasing one. A simple moving dolly constructed of four sections of 2x4 (assembled into a square pattern) with a heavy-duty locking caster on each corner will typically be strong enough to maneuver even the most cumbersome of woodworking tools. The cast iron parts on most woodworking machines can be brittle. In some cases, removing and packing these parts separately, such as wrapping them in moving blankets, can lighten the load of the main tool, but also protect some of the most vulnerable parts. When packing to move, inevitably you'll need some small tools (screwdrivers, wrenches, sockets, a cordless drill, etc.) for assembling and dis-assembling tools and other items. Keep a small assortment available for not only the packing, but also for when you unload in your new location. This care package of tools will likely be one of the first things you need at your new location, so keep them handy.